In what could turn out to be its last big event before Microsoft takes over, Nokia Tuesday is expected to add large-screen smartphones and a tablet to its Lumia family as well as upgrade its portfolio of low-cost smartphones. In less than a month, Nokia shareholders will vote on Microsoft’s offer to buy the company’s device business. But for now, the two companies are just close partners that continue to try to increase Windows Phone sales and, with the rumored launch of the Lumia 2520 tablet, turn around Windows RT’s fortunes. Company official declined to comment on the rumors, but reports of a Nokia tablet based on Windows RT have been floating around for some time. “The bottom line is the challenges with Windows RT remain, especially related to the ecosystem around the OS. That’s not going to go away tomorrow,” said Roberta Cozza, research director at Gartner. On a slightly more positive note, Cozza thinks Tuesday’s launch at Nokia World in Abu Dhabi could be the beginning of Nokia and Microsoft working together to make the Windows RT software more attractive. But that won’t happen overnight, she said. The Lumia 2520 is expected to have a 10-inch full HD screen and be as colorful as other smartphones in the product family, according to multiple reports. The device will be powered by Qualcomm’s popular Snapdragon 800 quad-core processor and has at least 32GB of storage, according to the reports. Windows RT 8.1 is off to a rocky start, as Microsoft decided to remove the update from its Windows Store on Friday after some Surface RT owners reported their tablets had been crippled. If the tablet is a bit of a long shot, Samsung Electronics has shown there is interest for smartphones with screen sizes larger than 5.5 inches, a fact a number of other vendors are trying to capitalize on with competing products. Nokia’s candidate reportedly is called the Lumia 1520, and will have a 6-inch screen with full HD resolution. 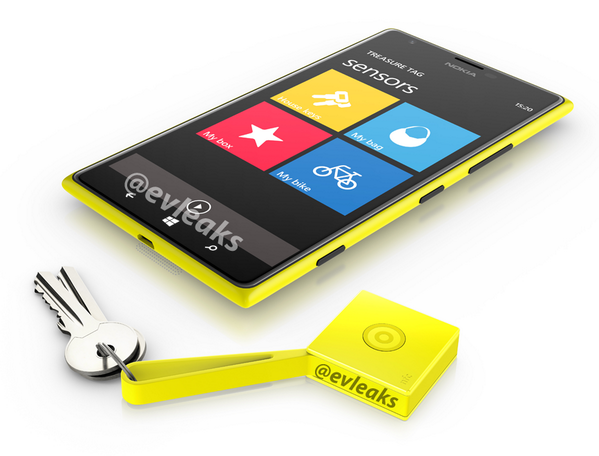 What the new Nokia Lumia 1520 smartphone will look like, according to one site. Those basic specs mimic what Microsoft said future Windows Phone devices would have when it recently launched the next update to the OS, called General Distribution Release 3. The higher resolution on Windows Phone will make room for up to six tiles across the Windows Phone start screen instead of four. The upgrade also allows Nokia to again use the Snapdragon 800 processor. Nokia is also expected to continue to push its camera technology by giving the Lumia 1520 a 20-megapixel camera. While high-end devices have been struggling, low-end devices are the main reason Nokia has been able to increase Lumia sales. “They have been crucial for Nokia. The feedback we have, definitely in Europe, is that the Lumia 520 and 625 are driving much of the volume,” Cozza said. It is easier for Nokia to compete in this segment of the market, where brand and app availability aren’t as important, according to Cozza. To help keep up its current momentum, Nokia will launch an updated version of the 520, called Lumia 525, as well another smartphone with a big screen, but with simpler specs than the Lumia 1520, according to rumors. If all that wasn’t enough, Nokia has previously said the company would strengthen the Asha family of advanced feature phones. In May, the company launched the Asha 501. It came with a new user interface that is now expected to make its way to more products.